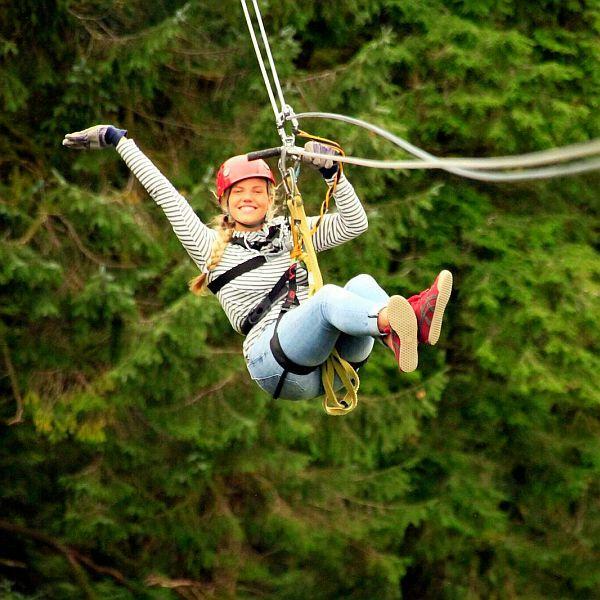 This is the perfect activity combination for those adrenaline-seekers on their hen party weekend! 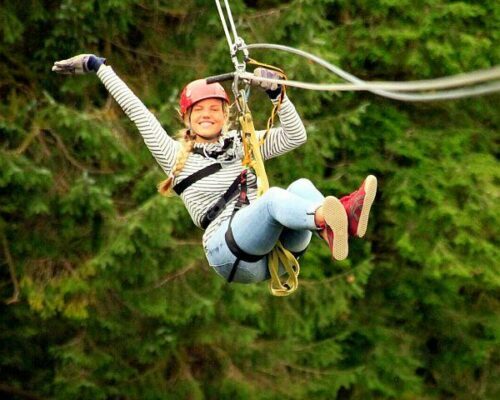 Two completely different activities, each requiring unique skills, this Karting and High Ropes hen package will really challenge even the most competitive of hens! Start your hen party with a fast-paced activity session! 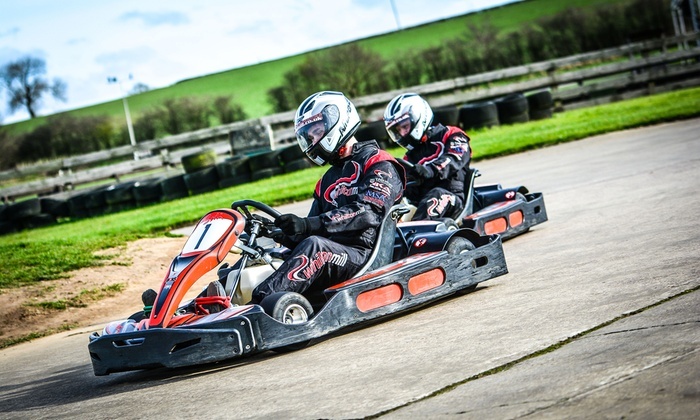 Enjoy a high adrenaline, Karting session on a specially, developed track! This circuit is one of the longest in Ireland – at nearly 1 kilometre long, this racetrack covers both indoor and outdoor ground, so this is karting like you’ve never experienced before! Race head-to-head with against your fellow hens and see if you have what it takes to lap your opponent and beat the clock! This team challenge is a great way to spend your hen party. 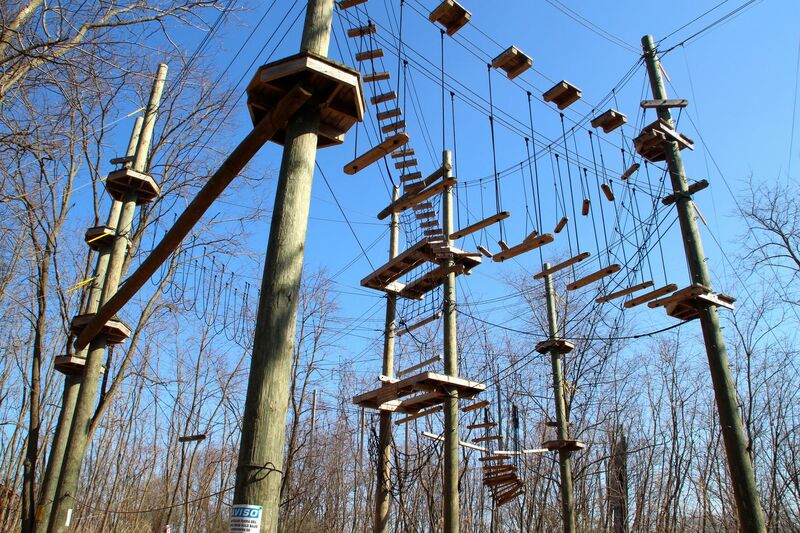 Navigate the challenging High Ropes course with help from your friends. 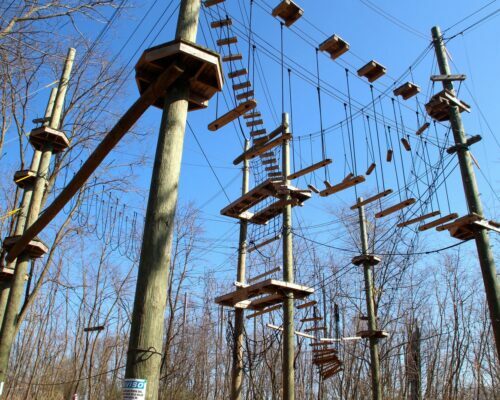 You will be up against mulitple obstacles as you swing and leap your way around this challenging High Ropes course! Along the way, you will face climbing hurdles and mid-air jumps, not to mention, a formidable Zip Line! Overalls and helmets are provided for your activities. Your equipment meets all Regulation and Safety Standards. A strict ‘No Alcohol’ policy applies to both activities. Comfortable, non-restrictive clothing is essential. We recommend you wear light layers as you may get quite hot whilst Karting. High Heels, Sandals, and Open-toe shoes are NOT permitted for safety reasons. Flat, fitted shoes such as trainers will be ideal. 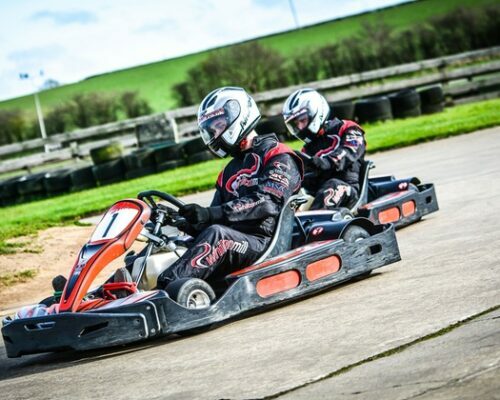 For a similar Hen Party idea, why not check out our Hen Grand Prix Karting activity. Or have a look at our other Land Activities for Hen Party Ideas!